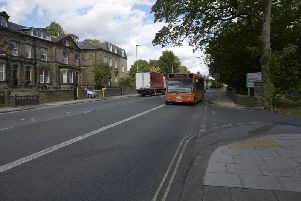 Calderdale’s Labour cabinet are proposing measures to introduce ANPR cameras to our bus lanes, a measure which would not only capture those who flout the law but to also ensure our bus lanes stay free from other vehicles. The idea is to keep buses moving more freely, causing less congestion, which would ultimately improve the air quality. If this was to be introduced it would result in one lane being relatively free whilst the other/s become congested with the rest of the road users that are forced into them; as a result this will not make much difference to the air quality but will cause extended journey times for other road users. As a Liberal Democrat Councillor for Calderdale I would rather see money spent on something more effective that would have a bigger impact on our town centre streets as well as our health. Therefore I would prefer to see a park and cycle scheme introduced instead. If parking previsions were made in places like Manor Heath with cycles available for the public who work in the town centre to continue the final part of their journey, this will not only take vehicles out of the town centre but also free up parking for those wishing to shop. 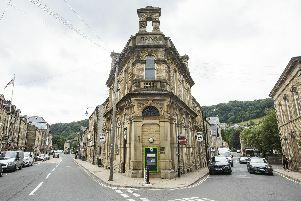 The end result would be that the nitrogen oxide emissions within the town centre are lower and a healthier workforce is created for those who use the scheme. Places like York, Exeter and Bristol already have these schemes in place with Cambridge said to have been the first in the world to set one up. I would like to hear people’s thoughts on this.